We’re continuing our staff profile series so you can get to know the Rival IQ team. Next up: Jacob Wuest, one of our Customer Success Managers. My name is Jacob Wuest, and I’m a Customer Success Manager here at Rival IQ. I help clients get the most out of their subscription and find new ways to use the product. I like to make sure that they get their money’s worth. I also wear a few other hats around here like video and Salesforce. 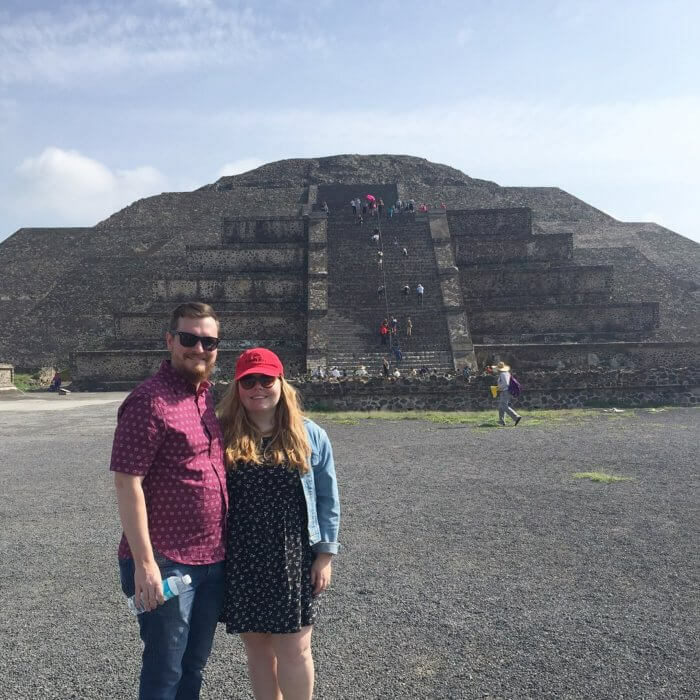 Jacob and his wife Francesca on a recent trip to Teotihuacan, near Mexico City. What did you do before coming to Rival? Oh, gosh. How far back do you want me to go? Well, I originally started working in film and TV production. I did that right out of college for a little over two years. 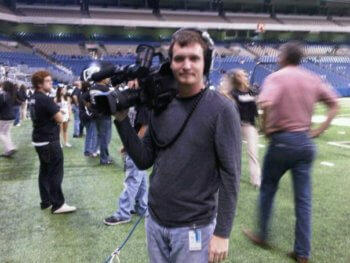 In the beginning, I ran an arena in-house camera mostly for football games, but also other events. I was usually working on ground level, the sideline, up in the rafters, in the stands, that sort of thing. Yes, yes. That was pretty cool. Got tackled once by a football player. I also worked for full-blown scripted television productions, like Friday Night Lights. I worked on that show for the last season. And I did the whole season of Top Chef Texas. I’ve done really crazy stuff too like an episode of Real Housewives of Orange County and an episode of Bridezillas, that really lame TLC show. Eventually, I moved on and got a job working as a retention specialist at a SaaS company. Then I moved to another SaaS company which was social media-related and did the same thing for them, and now I’m here. It’s just got to be the culture. I think that makes me most excited to be here: everyone’s so chill and nice. Honestly, everyone just really cares about the clients and about each other. What are you most likely to order when you’re in charge of Wednesday lunch, and why? I’m probably most likely to order Mediterranean, because it travels really well. Even if it’s a little cold, it still tastes pretty good. I also really like barbecue. That might have to be the next thing I order for the team since I’m originally from Texas. Tell me about how you use data in your day to day, either at work or at home. Here at work I use data to help me understand which clients are really excelling at using the product and which ones could use some extra help. In my personal life, I’m a big gut guy. I like going with my gut instinct quite a bit, although I do appreciate the data to back it up. But probably the most frequent use is in finances, like forecasting and budgeting, and making sure I’m set for the future. Do you have a favorite Rival IQ feature? I really like our Instagram Stories feature, because I think it’s cool that we can save and track them, even after they’ve expired. You can go back and do your analysis on them just like you can on the posts. 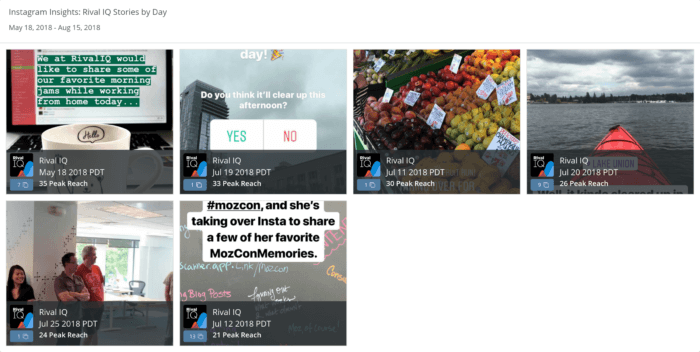 A few of our recent Instagram Stories seen in Rival IQ. I do. 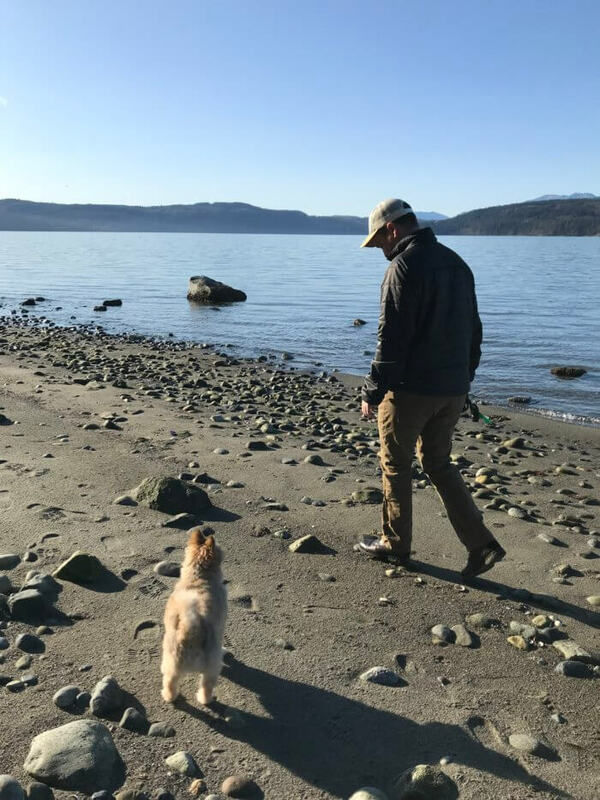 I’m not too active on social–more of a lurker. I’m actually on Facebook and Instagram probably more than I need to be, but if you were to pull my name through Rival IQ, I would look completely dead because I don’t do much at all on there. Jacob and his pup Jupiter. Last question: what’s your legacy at Rival IQ? I would say the overhaul of the video room would have to be my legacy. 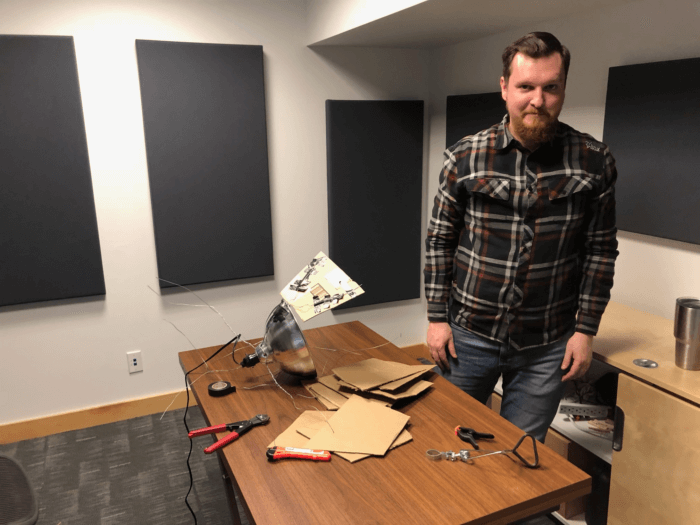 It had an echo and was poorly lit before, but during a recent Hack Day with a few screws and sound panels and tinfoil we made the room much more suited to filming webinars and help videos for our clients.